Taken from a pedestrian overpass at 7:22 pm yesterday. On an usual Friday at this time of night, it would have been packed. 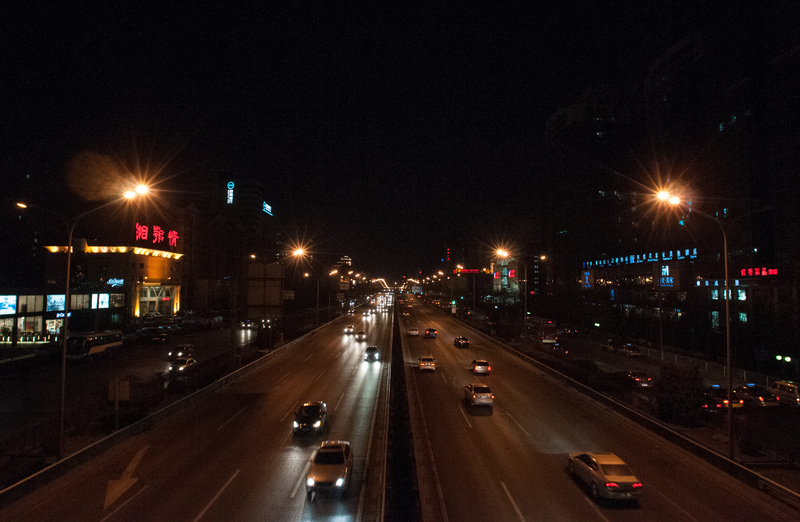 But, since this is Spring Festival, where millions of migrant workers and people who hail from places outside of Beijing go home to spend time with their families, the traffic in most areas of the cities becomes sparse. Not how I picture Beijing! except for the fireworks, it would seem the whole city becomes quiet. do you like it?